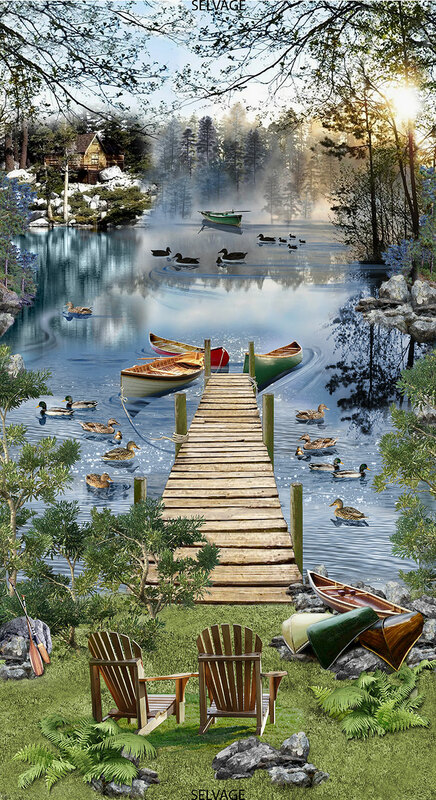 Timeless Treasures 24 Inch Lakeside Afternoon Panel. Measures 24"x42". 100% cotton.